A powerful new gene-editing tool called CRISPR/Cas9 cannot only go inside the mosquito gene to, say, make all mosquitoes male, CRISPR also can ensure that all subsequent generations of mosquitoes—and there wouldn’t be many—would be nearly all male, also. 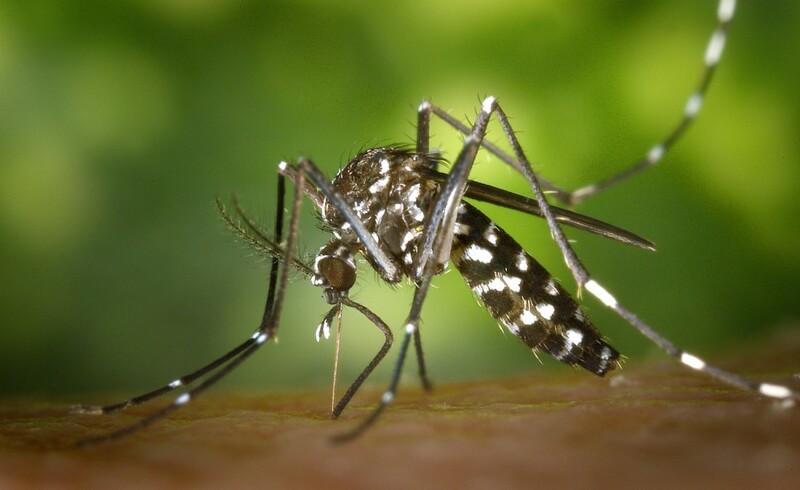 This means that in a very short time, maybe in just a year or two, malaria could be wiped off the face of the earth because only female mosquitoes carry the parasite responsible for the deadly disease. Think of that: malaria wiped out forever in a matter of months. Hallelujah! Unless, of course, you’re a purple martin or any other animal in nature’s infinitely complex web whose life somehow crosses paths with the bugging insect. Then, maybe, ridding the world of mosquitoes and malaria might not seem like a great plan. Purple martins aside, what would be the cost to mankind if, in a generation, the CRISPR-aided elimination of malaria adds another one billion people to compete for earth’s increasingly limited resources? What if it’s two billion more by 2050? Scientists, ethicists, and philosophers around the world are tackling this quandary given CRISPR, a new genetic tool, that when “properly adapted … allows scientists to edit strings of DNA inside living cells with astonishing precision,” explains Dawn Field in a Sept. 11 essay titled “Perfect genetic knowledge” in Aeon magazine. The editing is so precise, in fact, that the world can “edit” female mosquitoes out of nature right now and all mosquitoes a year from now should society want it. This incredible ability makes CRISPR the biggest news to hit animal and plant agriculture since Gregor Mendel, an Augustinian friar, invented the science of genetics two centuries ago. This is exactly what ag’s gene jockeys promised farmers and consumers nearly 25 years ago when genetically modified crops came to the commercial market. What they delivered, however, were genetically modified seeds that made farmers’ lives easier—mostly through pesticide- and herbicide-resistant crops—and consumer choices more complicated. Better food did not accompany the easier farming. Now, however, scientists can use this new tool to precisely alter almost any single or any combination of genes in any plant or animal. Rice, a key food staple in the developing world, could grow in more saline-heavy soils or chicken eggs might deliver necessary childhood vaccines. Currently, scientists are using CRISPR in the laboratory to edit complex strings of pig genes so the animals might grow transplantable human organs. Complex cancer tumors that “are almost never uniform” are also being tackled by CRISPR and so is Lyme disease, a bacterial infection transmitted by ticks. These aren’t miracles; they are the future—the very near future. This future, however, will arrive with some very new dilemmas. If, for example, we can cure a disease with drug therapy, should we use CRISPR to edit the disease-causing gene from the human genome? A friend, a noted geneticist who has spent his entire career on the frontline of science, isn’t so sure. “We older scientists have seen many, many ‘new’ technologies come and go,” he explains. And that would make our children mosquitoes. ← Never Heard of CRISPR? You will.